Creating a website for your podcast should be easy and fast. It should not cost a fortune and it should work. 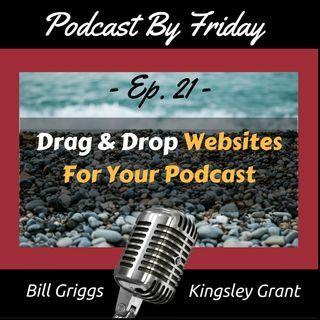 In this episode we explore drag and drop website builder program for your podcast. With this new drag and drop website builder, WP Profit Builder you can create attractive, functional websites in minutes instead of months. Go to http://podcastbyfriday.com/builder to get a sneak ... See More peak.